Forget Andy Warhol and his soup cans – on canvas? So passé. 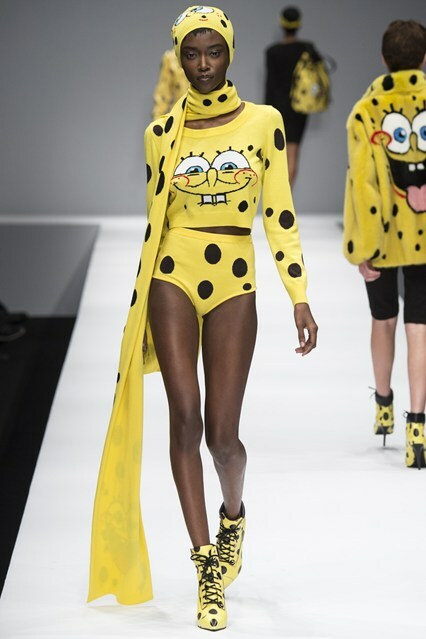 Jeremy Scott has tapped into 21st century pop culture and splashed McDonald’s and Hersheys logos, Spongebob Squarepants and Nutritional Information images all over the runway at his debut show for Moschino for AW14. But that’s not where it starts or finishes, oh no. 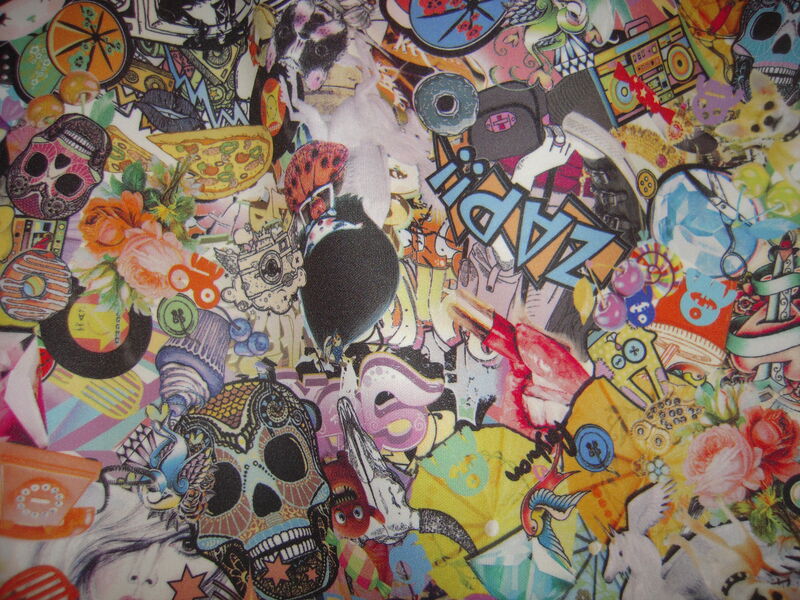 Visual art’s influence is in full flow for Spring/Summer 2014. 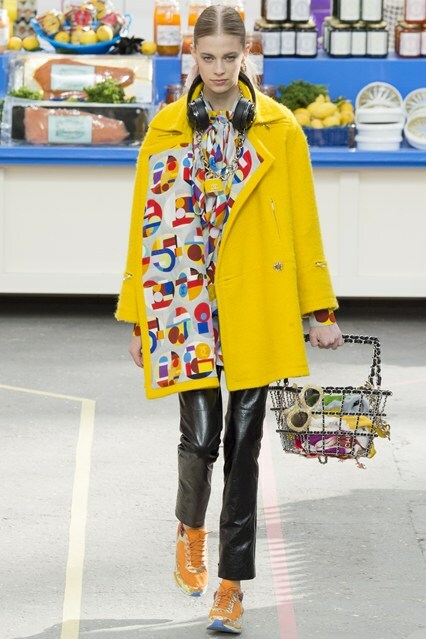 Wear your florals if you wish, stick on your nautical top if you’re so inclined, but all the cool kids will be decked out in painter’s pallette inspired splashes of colour, Old Master influenced images and pop art iconography. 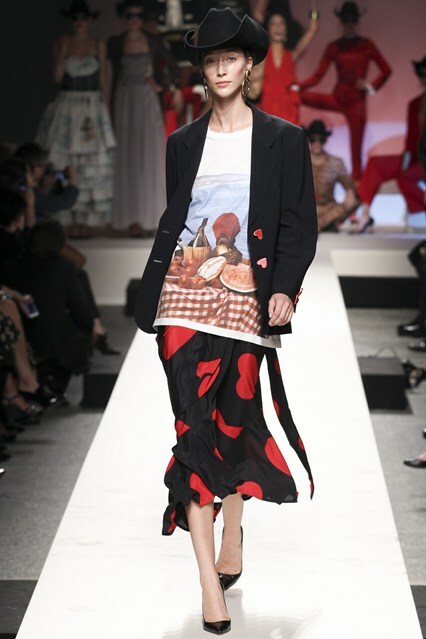 Before Scott took the helm at Moschino, the house celebrated its 30th birthday with an homage to all that went before, culminating in a riot of prints and patterns celebrating its Italian heritage. Check out the still-life top above – perfect for sitting down to a tasteful Mediterranean feast in an olive grove, no? The A/W14 collection won mixed reviews, but you can bet your bottom lira that come Fall sweaters and skirts alike will be emblazoned with copycats all over the high street. 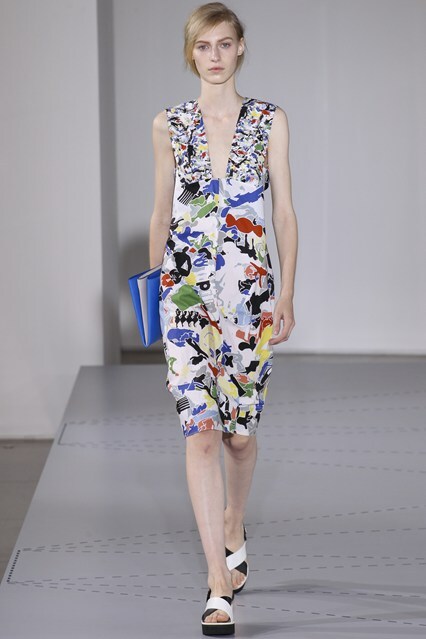 White is a key player this summer, but Céline and Jill Sander have gone a step further by adding graphic blocks of colour and brush-stroke-like patterns to the clean and crisp base. 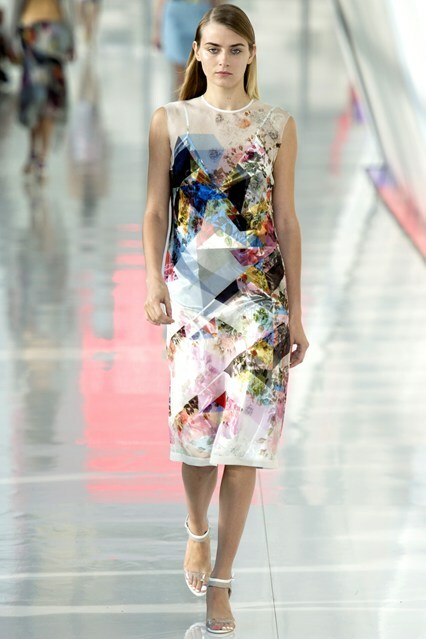 There’s even an almost computer-esque feel at Preen, really modernising the concept. 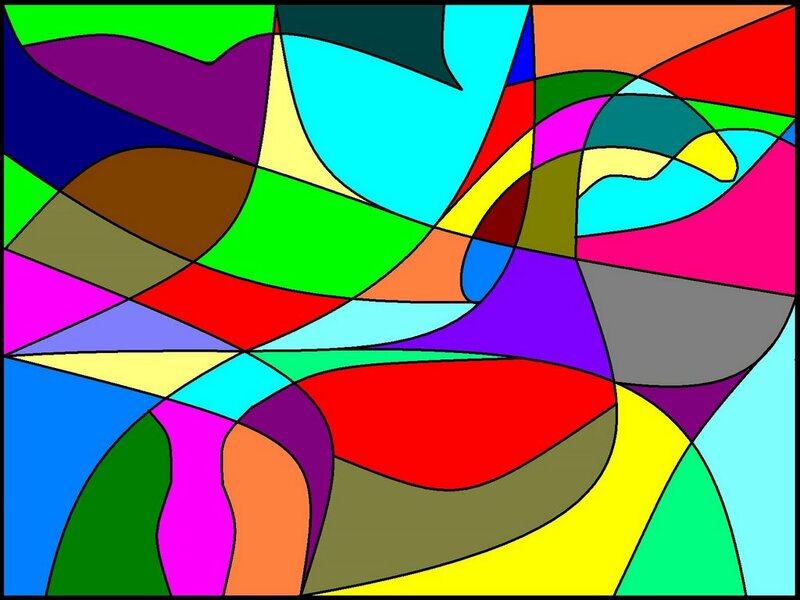 Anyone else spend half their childhoods doodling these on Microsoft Paint when you were supposed to be doing homework? 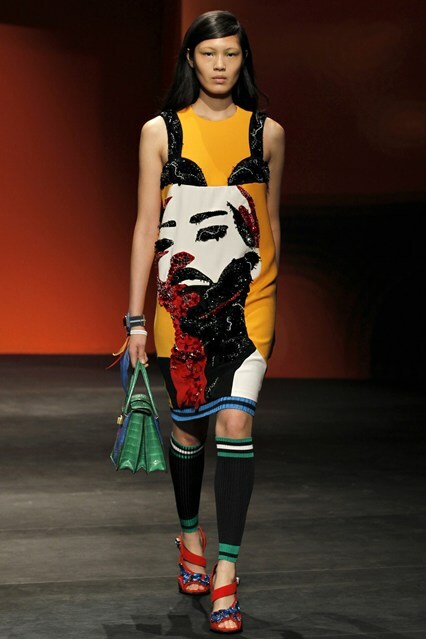 You’ve probably already spotted Anna Della Russo prancing about in her Prada outfit, with its bold colours and giant patterns. Giles has taken it in a more romantic direction, with both the lovely Pre-Raphaelite style painting image and the lips likely inspired by Roy Lichtenstein. 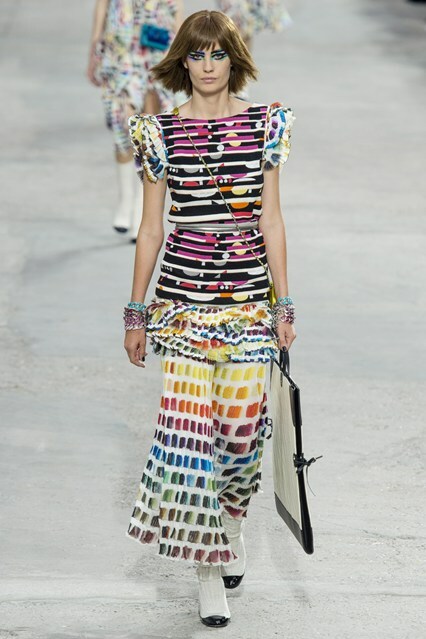 Chanel’s SS14 collection also leaned towards a white base with splashes of colour, though they’re a little more uniform, not unlike a test sheet or Pantone colour card. 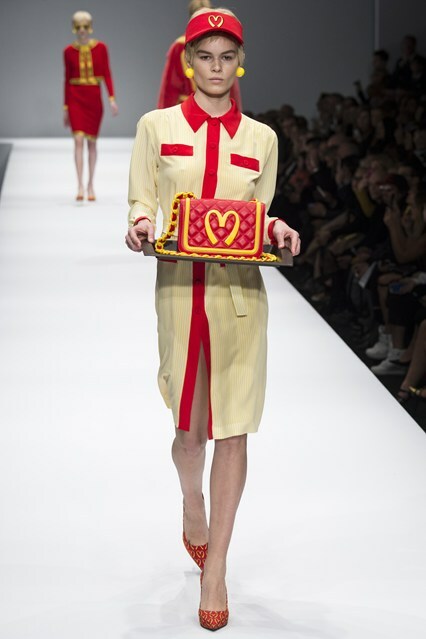 In his AW14 show Karl send the models down supermarket aisles, bringing the nod to art and Warhol full circle in a way. The look is so easy to emulate, similar t-shirts and seperates can be found in Zara and H&M. I picked up this skirt for €14 in a newly opened local boutique! It was this time more years ago than I care to admit that I sat my Leaving Cert History Paper and sweated (or rather “glowed” – I am a lady!) over my Special Topic essay on La Belle Epoque. The golden era in French history spawned Art Nouveau, the Post Impressionists and Emile Zola – the Eiffel Tour was built! 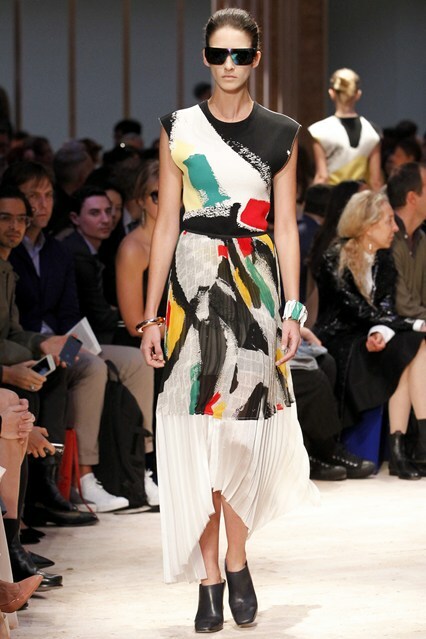 The influence of Art over fashion, not to mention culture and history in general is great and is shown to a huge extent in this year’s trends. And you know, the easiest way to wear it is by sticking on a plain white t-shirt and getting your old poster paints out – get creative while showing the floral brigade how it’s done! We’re nominated in the Aussie Blog Awards! Have your stylish voice heard in voting for your two favourite mice for Reader’s Choice; it’s as simple as clicking the link below, scrolling down to our blog name on the drop-down menu and submitting! We’re Aussie Blog Awards Finalists!